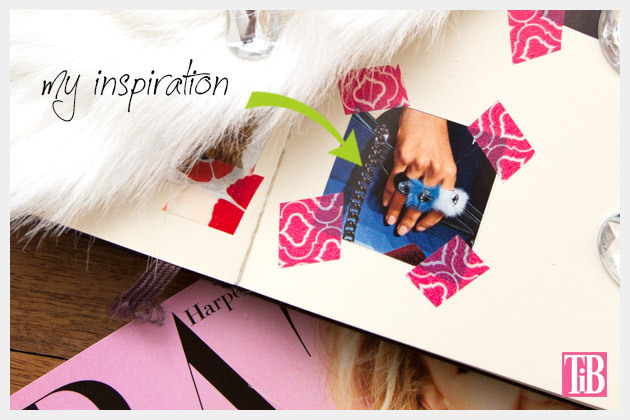 Create a statement with texture and color by making a fun Faux Fur Fimo Clay Ring DIY. 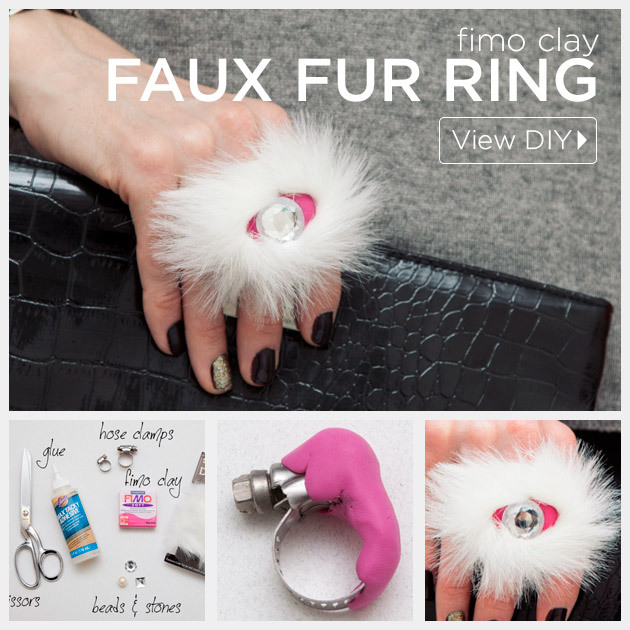 The fur rings by Delfina Delettrez for spring/summer 2014 (as shown in the December2013/January 2014 Harpers Bazaar) inspired me to make this Faux Fur Fimo Clay Ring DIY. 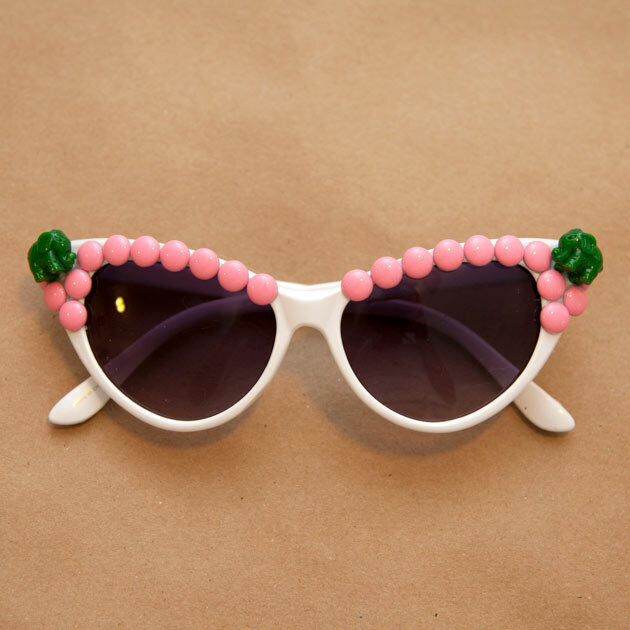 Since fimo clay comes in so many bright and beautiful colors you can make lots of fun rings, for much less than (and more animal friendly) than this high fashion inspiration. 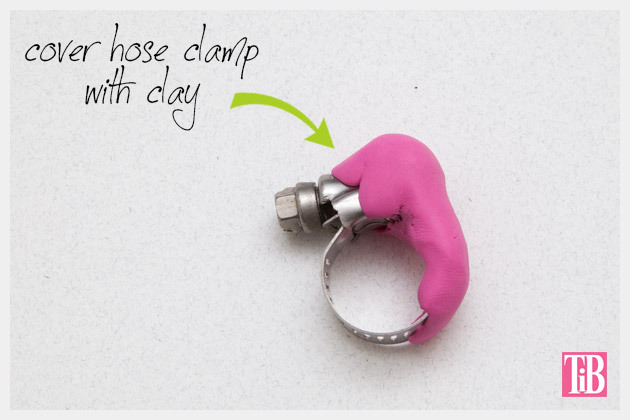 Start with your hose clamp and adjust it to fit your finger, but make sure to leave it a little big as your fimo clay will make the hole smaller. You can adjust the hose clamp by turning the screw on the top. Knead your fimo clay until it is soft enough to press around your hose clamp. Press it around your hose clamp, making sure to keep it smooth. Make sure that your stone will sit flat on the top of your ring. Smooth your clay until everything sits where you want it. When your hose clamp is completely covered with your clay, make sure it fits your finger before baking. 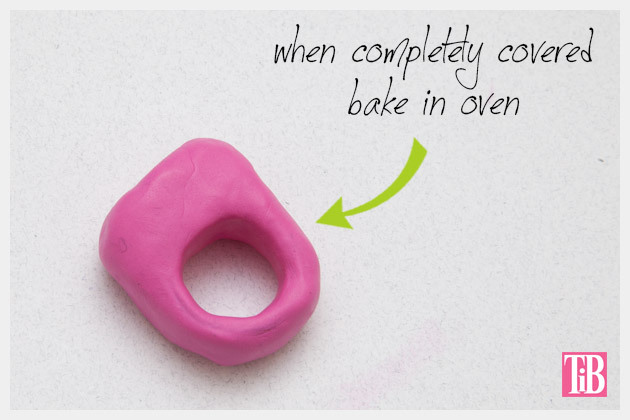 Follow the instructions on the package and bake your fimo clay in your oven. When it’s done let it cool. 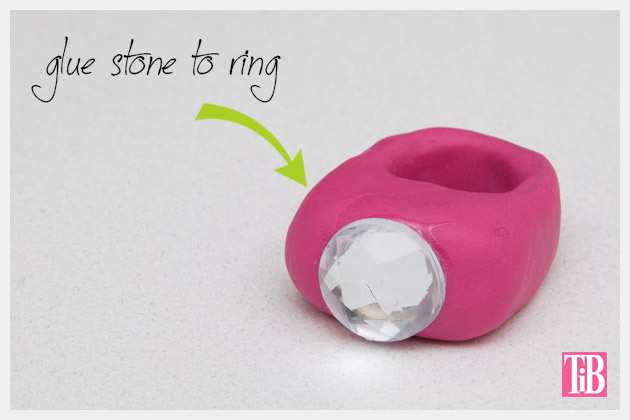 Glue your stone to the top of your ring. Cut a small piece of faux fur. 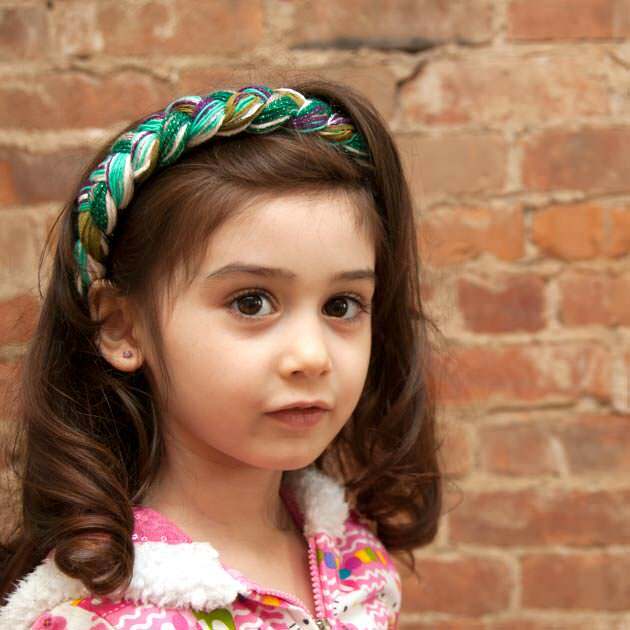 I cut mine about 6 inches by 1.5 inches. You can always trim it smaller if you need too. Use a size that works for your ring. 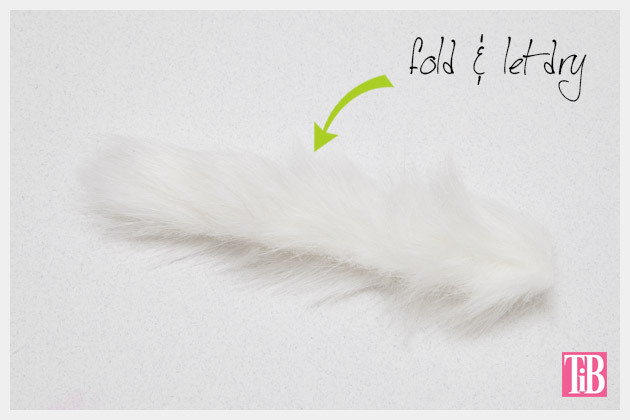 Add glue along one edge of your faux fur, fold it in half, press it together and let dry. 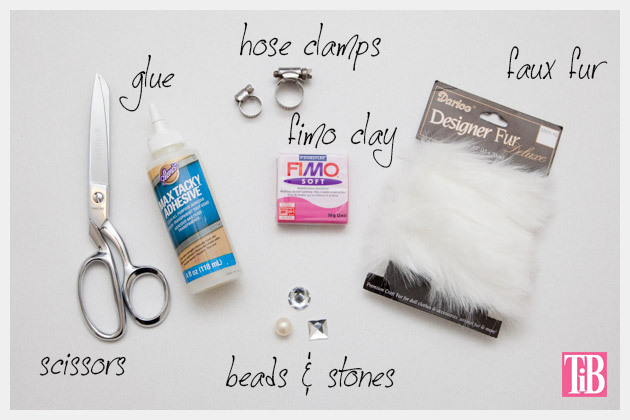 Start by gluing on end of your faux fur to the sides of your ring and wrap it around gluing when necessary. 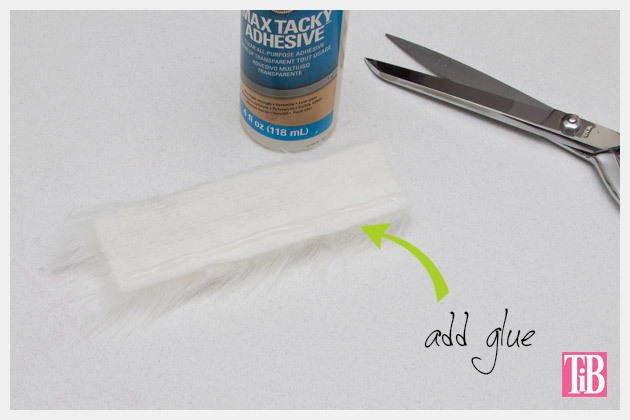 Secure the end of your faux fur with a drop of glue and let it dry. 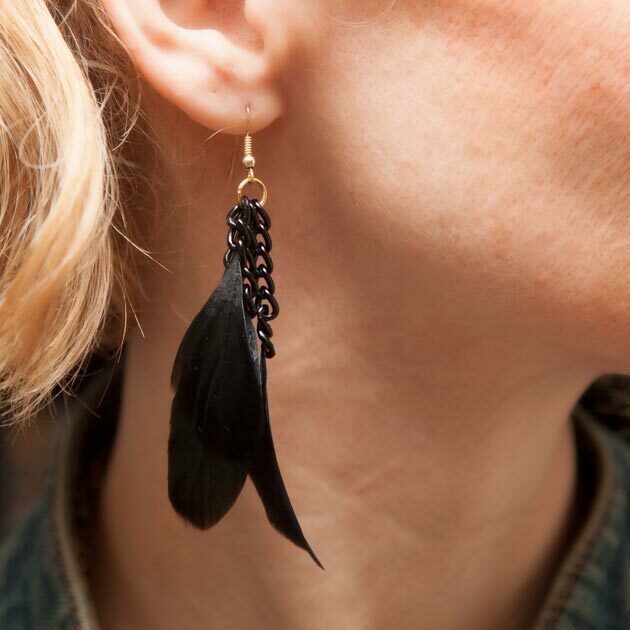 I LOVE big crazy quirky accessories and these rings are just what my collection needed. 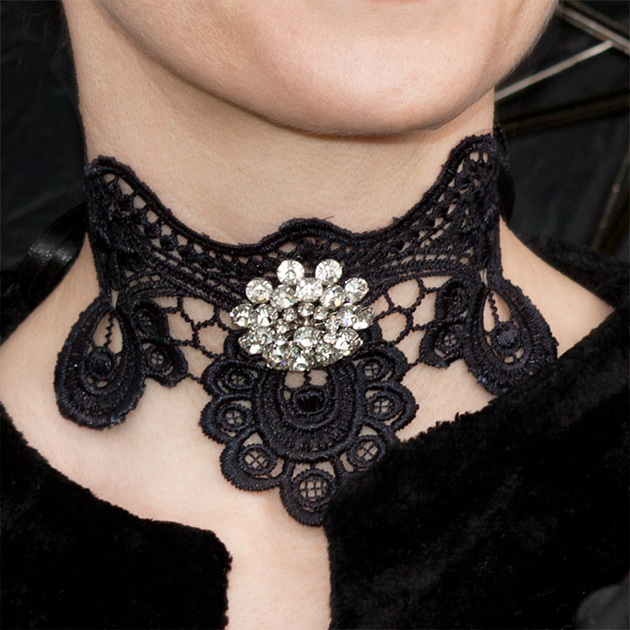 They have a bit of sparkle, color and texture just what you need to break out of this gloomy winter season. Leave me a comment and let me know what colors you’d use to make your ring. Holy crap this is friggen AMAZING! Hose clamp covered in Fimo, GENIUS!!!!!!!! 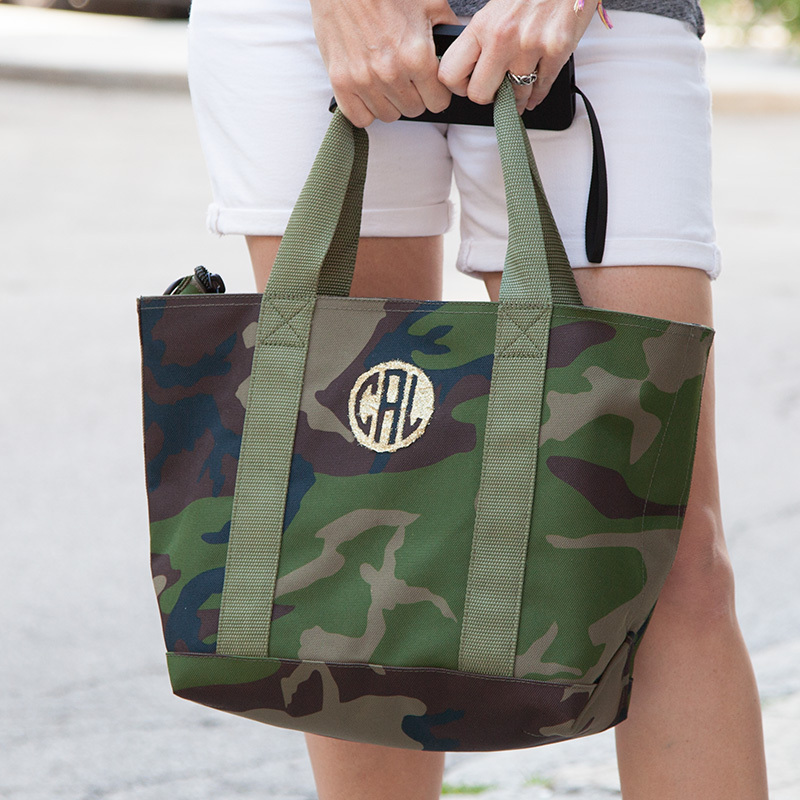 So well done, Cathy!